The Artist: One of the greatest composers of all time. 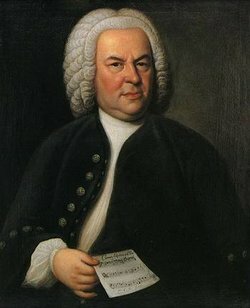 Bach wrote hundreds of pieces for organ, choir, as well as many other instruments. He spent most of his life as a church organist and a choir director. His music combines profound expression with clever musico-mathematical feats, like fugues and canons in which the same melody is played against itself in various ways. An arrangement for classical guitar of the famous Prelude no.1 from the 48 Preludes & Fugues (Well-tempered Clavier). It is also used as the accompaniament to Gonoud's Ave Maria.